Did India conceal its first cases of the Zika virus? On Friday, the World Health Organization (WHO) said India's health ministry had confirmed three cases of the mosquito-borne virus from the city of Ahmedabad in western Gujarat state. Authorities in Gujarat said the cases were reported in a bustling neighbourhood between November 2016 and February 2017. The infection has been linked to severe birth defects in almost 30 countries. These include microcephaly, where babies are born with abnormally small heads and restricted brain development. Although the virus is mostly spread by mosquitoes, it can also be sexually transmitted. Even before the first official case of the Zika virus was registered in Nigeria, researchers concluded in a paper published in 1953 that "significant numbers" of people had been exposed to the virus in India. A total of 33 of the 196 people tested for the new disease had immunity. More than 60 years later, the three cases in India detailed in a statement by the UN health agency included two women, aged 22 and 34, and a 64-year-old man. The 34-year-old woman delivered a "clinically well baby" on 9 November 2016; the 22-year-old woman was tested positive for the virus in her 37th week of pregnancy. None of the three, according to reports, had travelled outside the country. "The two pregnant mothers have delivered healthy babies and the 64-year-old senior citizen has shown no complications at all," JN Singh, the senior-most bureaucrat in Gujarat, told reporters at the weekend. He also said the government "consciously did not go public with the cases" as the number of cases didn't rise. But there has been shock and consternation among many independent public health professionals and analysts on why the public was not informed of the cases immediately after they were detected. "This is unprecedented in India's public health history. It is also disturbing and raises a lot of ethical issues. You have to take the community into confidence. You can do it without spreading panic. That is the job of a sound public health policy," Rajib Dasgupta, a professor in the community medicine department at Delhi's Jawaharlal Nehru University, told me. For one, critics say, on 17 March, junior health minister Anupriya Patel, responding to a question in the parliament said, that "so far, only one-case of laboratory-positive Zika virus has been detected as part of a routine laboratory surveillance in January 2017". The government was lying, they said, because the third - and final - case had been detected in January. A health official, however, defended the minister, saying "while two cases were picked up in January for testing and the third in February, only one confirmed case had been detected while [the minister was] replying to the parliament". Nitpicking apart, many say it is surprising that the government decided to remain quiet for months about the first cases of a globally prevalent disease which is caused by the Aedes aegypti mosquito, which also carries the dengue and chikungunya viruses, both widely prevalent in India. They say it is surprising that the government, which gives regular public updates on dengue and chikungunya cases, decided to remain quiet about the Zika virus for months together. This when India has, by all accounts, a fairly robust public health response protocol to tackling Zika. A panel of top bureaucrats from different ministries regularly review the global situation on the virus. International airports and ports display information. Disease and vector control organisations help health officers monitor passenger arrivals at airports. Since last year, 25 laboratories across the country have been beefed up for testing. Three entomological - study of insects - laboratories are conducting Zika virus testing on mosquito samples. Kits that test all the three pathogens - zika, dengue and chikungunya - simultaneously, developed and provided by the US-based Centers for Disease Control and Prevention, are being used widely. More than 34,000 human samples and 12,647 mosquito samples have been tested for Zika. Of these, close to 500 mosquito samples were collected from the Bapunagar area in Ahmedabad, where three of the positive cases were eventually found. Microcephaly is being monitored from 55 sentinel sites - communities from where in-depth data is gathered. But when it came to the first cases, the government intriguingly kept it a secret from people, and even the local authorities, including the municipal commissioner and the mayor of the city. Interestingly, a senior medical officer of the local municipality told the news and current affairs website scroll.in that the federal Indian Council of Medical Research (ICMR) had actually stepped up surveillance in the city in January and February as a part "of a national exercise to control malaria". "There was no mention of Zika virus or cases to us," the official said. A journalist from the website who visited the Bapunagar area where the cases had been detected reported that local people were angry that they were kept in the dark about the Zika virus. A local civic official, from the main opposition party Congress, wondered how could "the government not tell people that there is a new disease which is infecting people in the neighbourhood they live". The government sticks to its position that it did not feel the need for a public announcement since there were no increase in the number of cases after surveillance was stepped up in the city. But, as public health analysts say, local authorities should have been informed, so that they could have informed the local community and communicated it to the media. "Risk communication and mitigation are vital. It's a mosquito borne disease. 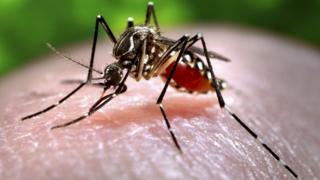 There are no magic bullets for mosquito control," says Dr Dasgupta. So why did the government delay the announcement? The local media has been reporting that the BJP-ruled government in Gujarat - Prime Minister Narendra Modi's native state - kept the news a secret because the state was hosting a major international business summit in January to woo investments. The local government, of course, denies this. "This is an insult to the public health community and media. The local community needs to be informed [about the prevalence of the virus] to protect themselves, their women and children. Travel advisories need to be put out to alert foreign visitors," Vidya Krishnan, health and science editor with The Hindu newspaper told me. "The implications of not disclosing or delaying such information are scary. If India begins to conceal its disease burden and disease outbreaks, things can easily snowball out of control. It will lose face internationally," she adds. Remember when China was accused of "covering up" the full extent of its Sars outbreak in 2003? But in May 2015 it was reported in Brazil and since spread rapidly. In November 2016, the World Health Organization (WHO) declared that Zika will no longer be treated as an international medical emergency. However, it said the virus still posed a "significant and enduring" threat.